12447 ft (3794 m) Southernmost active volcano in the world . Skiable Vertical: over 12000 ft (3700 m) ! 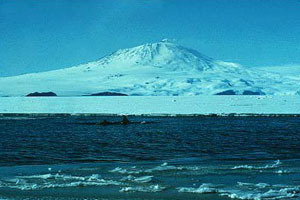 Mount Erebus is only the second highest volcano in Antarctica, but it has been by far the most famous one since its discovery in 1841 during the voyage of Captain James Clark Ross. Erebus is an enormous edifice, one of three volcanoes which form Ross Island, and it rises over 15000 ft (4500 m) above its footings on the floor of the Ross Sea, with an estimated volume of 450 cubic miles (1800 cu km). The volcano is in a constant state of activity, with a churning lava lake at the bottom of its crater and small eruptions several times daily. Besides being one of the few volcanoes in the world with an active lava lake, it is also one of the few to have volcanic steam caves within its glacial ice (others with such caves include Mounts Wrangell, Baker, Rainier, and Saint Helens). 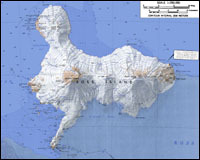 Erebus is also unique in its composition, being the only volcano of its size to be constructed almost entirely of phonolite, a highly alkaline lava characteristic of intraplate volcanism possibly over a hotspot. The list of superlatives could go on and on, but most importantly Mount Erebus is also a spectacular ski ascent and descent, with the easiest access of any location in Antarctica. 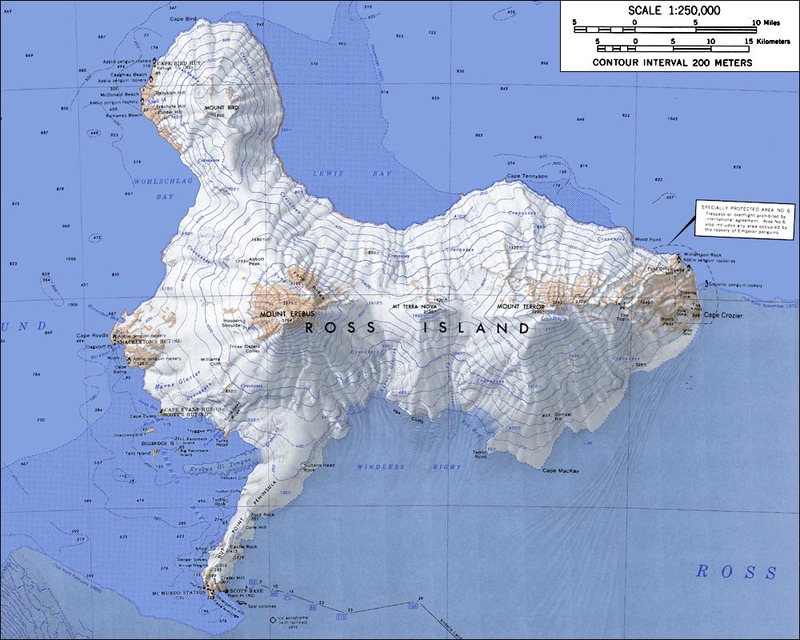 The American base and airfield at McMurdo Station is located on the SW corner of Ross Island, less than 25 miles (40 km) from the summit.